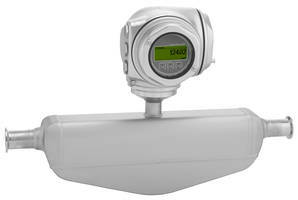 Proline 300 Smart Flowmeters are available in Promass Coriolis and Promag models. Promass Coriolis mass flowmeters are offered in 11 models ranging from sizes from 1/24 to 14 in. to measure up to 100,000 tons per day whereas Promag meters in 1/12 to 24 in. measure volume flows up to 42,000 gal per minute. Unit’s provide access to the users through web server, wireless LAN and handheld devices. Flowmeters meet cCSAus, IEC/EN 61326, EU and ACMA standards. 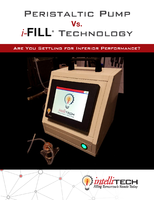 The Coriolis and electromagnetic flow instruments have been optimized for maximum safety, enhanced measurement quality, device accessibility and GMP compliance for sterile processes. Endress+Hauser announces updates to its Proline 300 smart Coriolis and electromagnetic flowmeters for the hygienic industries. Their compact hygienic 316L stainless-steel housings are robust and optimized for highest reliability. Additionally, they have been designed to support an optional IP69 ingress protection rating, impervious to water ingress from high pressure wash-down. The sensors are designed according to ASME BPE, EHEDG and 3A standards, and provide full GMP compliance for sterile processes. They offer seamless integration into applications through a wide range of digital conductivity protocols including EtherNet/IP. The Proline Promass 300 Coriolis flowmeters have several surface finish options including stainless-mechanical or electropolished wetted parts and low delta ferrite content that fulfils the most stringent requirements for GMP design and cleanability. The design is optimized for cleaning and sterilization, offering full drainability even in near horizontal installations. The Proline Promass Coriolis mass flowmeters are available in 11 models ranging in sizes from 1/24 to 14 inches in diameter, for measuring flows up to 100,000 tons per day. Proline Promag 300 flowmeters are available in two models in sizes from 1/12 to 24 inches for volume flows up to 42,000 gallons per minute. Both the Coriolis and electromagnetic flowmeters are available in models suitable for CIP/SIP processes in hygienic and sterile process applications. Proline instruments connect to control systems via 4-20mA HART, PROFIBUS PA, FOUNDATION Fieldbus, Modbus, EtherNet/IP or PROFINET. Both families provide access to users via the device’s display, a web server, wireless LAN, handheld devices, asset management or process automation solutions, and Fieldbus protocol. Each provides fast commissioning, in-situ device verification during operation, continuous self-diagnostics and automatic on-board data storage. Robust transmitter housings are available in aluminum, and hygienic or severe service stainless steel. Each housing has a two-chamber system with a front-mounted compartment for connecting source power, wiring the analog and/or digital inputs and outputs, and accessing the Ethernet service access port or device display. The second chamber permits service technicians to access the electronics modules for repair functions while maintaining protection against dust and contamination. Local or remote four-line backlit optical displays with a WLAN connection allow access from a handheld device such as a smartphone or a tablet. All Proline instruments have custody transfer approvals and meet the requirements of cCSAus, ATEX, NEPSI, INMETRO, EAC, IEC/EN 61326, NAMUR NE21, and EU and ACMA directives. They are also approved for use in SIL 2 and SIL 3 applications. Smart Instrument Functions Each Proline instrument has a HistoROM function to protect data storage automatically. 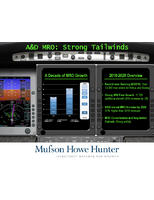 This includes an event logbook and data logger that can be accessed locally or remotely, and storage of calibration and verification information. This onboard data storage makes it easy to replace and commission a new flow sensor. The built-in web server provides universal browser-based access to device, diagnostics and process information from any device with an internet or Wi-Fi connection. Typical access devices include laptops, PCs, smartphones and tablets. Endress+Hauser’s Heartbeat Technology package addresses device diagnostics, monitoring and verification functions used to satisfy regulatory, contractual, quality, safety or fiscal requirements. Heartbeat Diagnostics provides self-monitoring for all Proline instruments, meeting NAMUR NE107 requirements for clear and unambiguous categorization of events and device remedies for quick resolution of problems. Optional Heartbeat Monitoring allows for customer identification of device trends from process influences such as buildup, settling solids or liquids, erosion, corrosion and multi-phase fluid flows. The TÜV-attested Heartbeat Verification is the only method to have achieved third-party accreditation per traceable ISO metrological standards in operation. In-situ verification can be triggered at any time, from anywhere, to provide electronic quality reports. 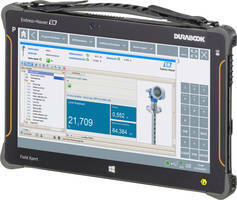 The Proline instrument portfolio also connects directly to Endress+Hauser’s W@M lifecycle management software which tracks all necessary information about device calibrations, verifications, maintenance, and other functions over the life of the sensor and instrument. For life sciences visit www.us.endress.com/PromassP300. For food and beverage visit www.us.endress.com/Proline-Promass-S300. 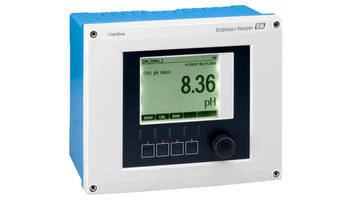 For all other information on the Proline flowmeters, please visit www.us.endress.com/proline-300-500. Endress+Hauser is a global leader in measurement instrumentation, services and solutions for industrial process engineering. Endress+Hauser provides sensors, instruments, systems and services for level, flow, pressure and temperature measurement as well as analytics and data acquisition. We work closely with the chemical, petrochemical, food & beverage, oil & gas, water & wastewater, power & energy, life science, primaries & metal, renewable energies, pulp & paper and shipbuilding industries. Endress+Hauser supports its customers in optimizing their processes in terms of reliability, safety, economic efficiency and environmental impact. The Group employs 13,000 personnel worldwide and generated more than 2.2 billion dollars in 2016. Endress+Hauser is a global leader in measurement instrumentation, services and solutions for industrial process engineering. The Group employs 13,000 personnel across the globe, generating net sales of more than 2.1 billion euros in 2016. With dedicated sales centers and a strong network of partners, Endress+Hauser guarantees competent worldwide support. Our production centers in 12 countries meet customers’ needs and requirements quickly and effectively. The Group is managed and coordinated by a holding company in Reinach, Switzerland. As a successful family-owned business, Endress+Hauser is set for continued independence and self-reliance. Endress+Hauser provides sensors, instruments, systems and services for level, flow, pressure and temperature measurement as well as analytics and data acquisition. The company supports customers with automation engineering, logistics and IT services and solutions. Our products set standards in quality and technology. We work closely with the chemical, petrochemical, food & beverage, oil & gas, water & wastewater, power & energy, life science, primaries & metal, renewable energies, pulp & paper and shipbuilding industries. Endress+Hauser supports its customers in optimizing their processes in terms of reliability, safety, economic efficiency and environmental impact. Founded in 1953 by Georg H Endress and Ludwig Hauser, Endress+Hauser has been solely owned by the Endress family since 1975. The Group has developed from a specialist in level measurement to a provider of complete solutions for industrial measuring technology and automation, with constant expansion into new territories and markets. For further information, please visit www.endress.com/media-center or www.endress.com. Flowmeter has flow range of 0.75-600 sfps. Coriolis Flowmeter directly measures viscosity. Liquid Flow Meter facilitates HPLC IQ/OQ/PQ processes. Coriolis Mass Flowmeter is offered with loop powered transmitter.